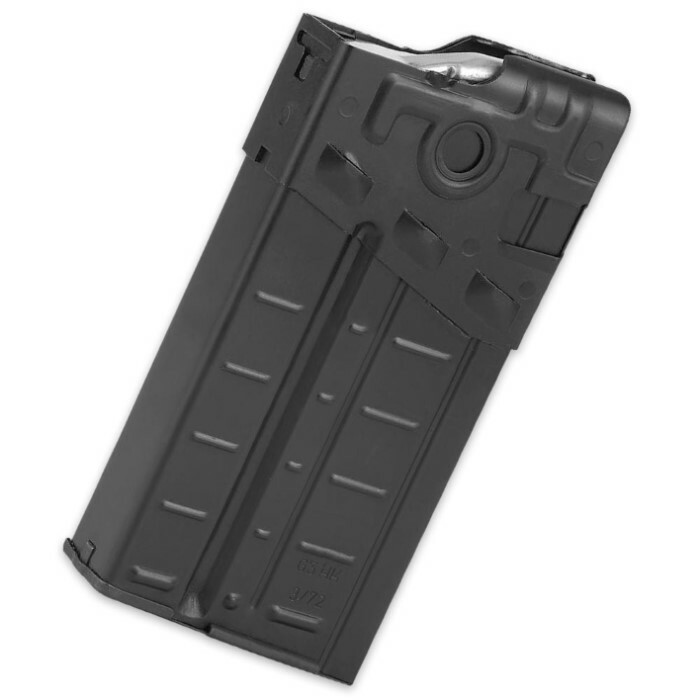 German G3 20-RD Aluminum Magazine Used | BUDK.com - Knives & Swords At The Lowest Prices! These used German surplus G3 magazines are in good condition, ready for use in your G3 battle rifle. Available in aluminum, these 20-round magazines were manufactured to military specifications. Fit HK G3/HK91, PTR 91 or CETME 308 rifles. Magazines may have blemishes or slight surface damage. Received 6 mags yesterday on a free shipping promo. All mags were wrapped in factory paper and sealed in plastic pouches. Three were dated from 1986 and three were dated from 1982. These mags have never been used and have a nice snug fit in my PTR-91 GI-R. I will be buying more. You simply cannot find a better deal for the quality you can currently get from CH. 6 STARS! !